I’d say Rome is just about everything I imagined it to be. It’s magical, whimsical and colorful. To say it has history would be an understatement. It easily made its way to my favorite city list and I’d happily make a return trip anytime. My biggest piece of advice when visiting this city would just be to follow that old saying, “when in Rome!” and do everything you can do. 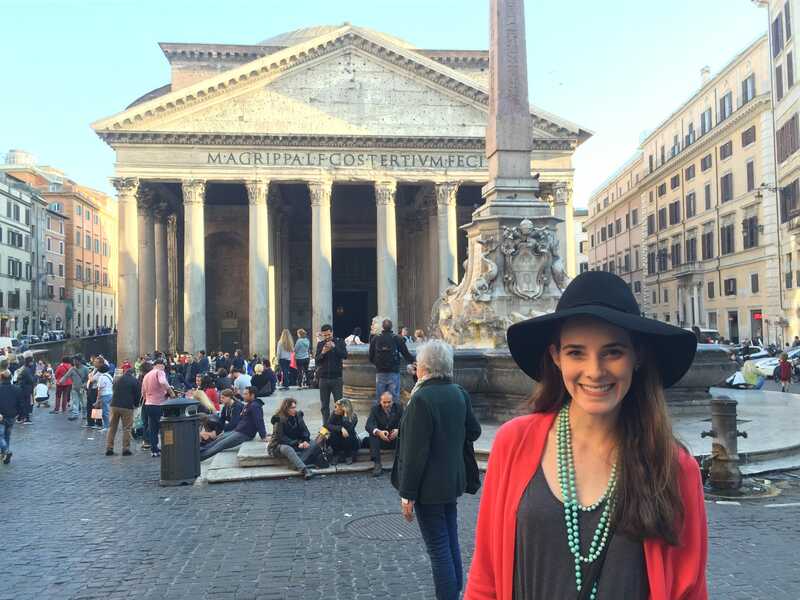 Here are a few helpful tips, recommendations and things we especially loved about Rome! If you’d like to check out our other Italian City Guides, here’s one about Venice and one about Florence & Tuscany. 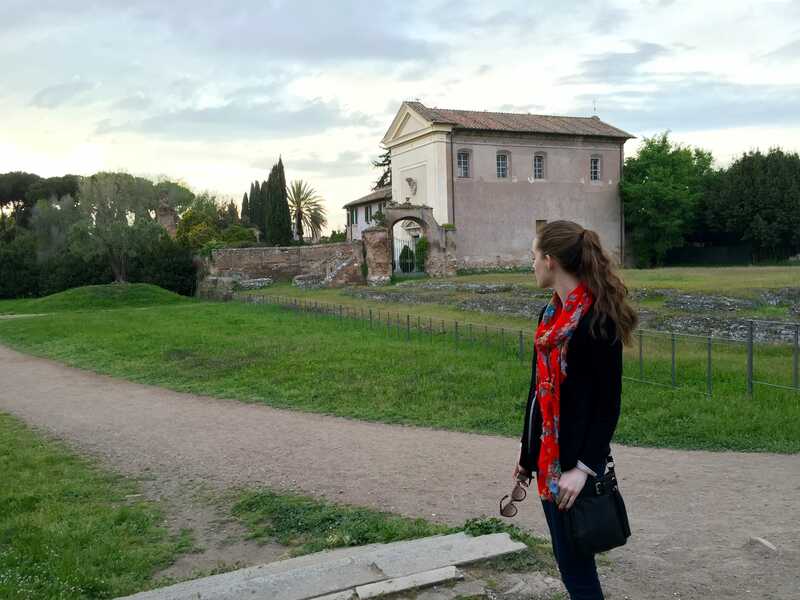 Also, see how we packed for our Italy adventure in backpacks! Happy travels, friends. 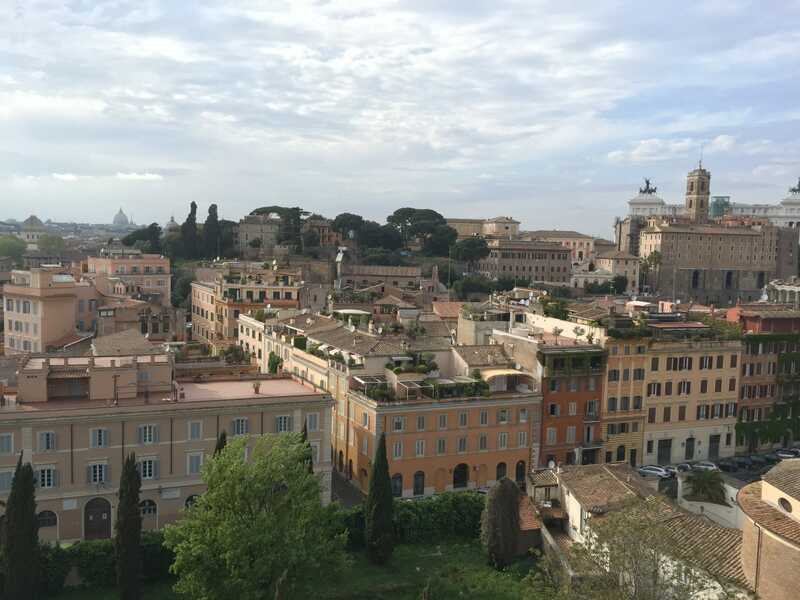 These views in Rome could never get old. 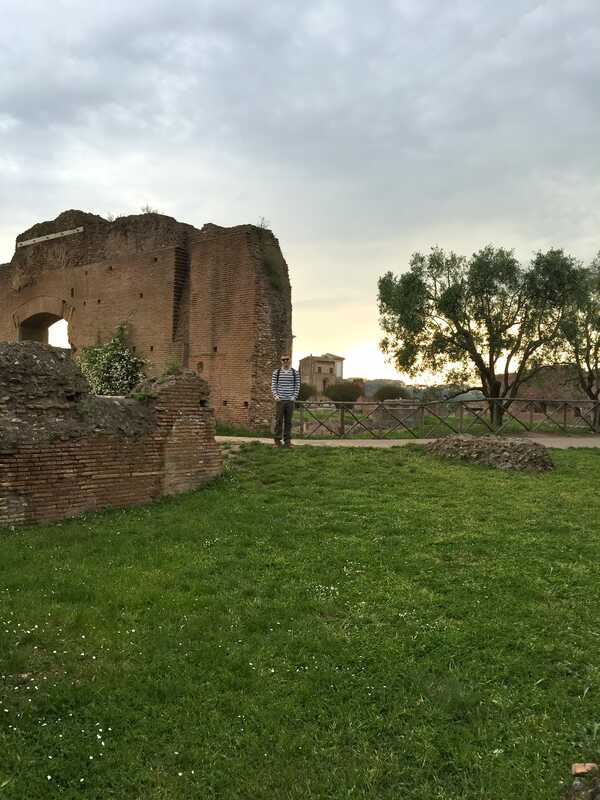 This was taken in Palatine Hill. 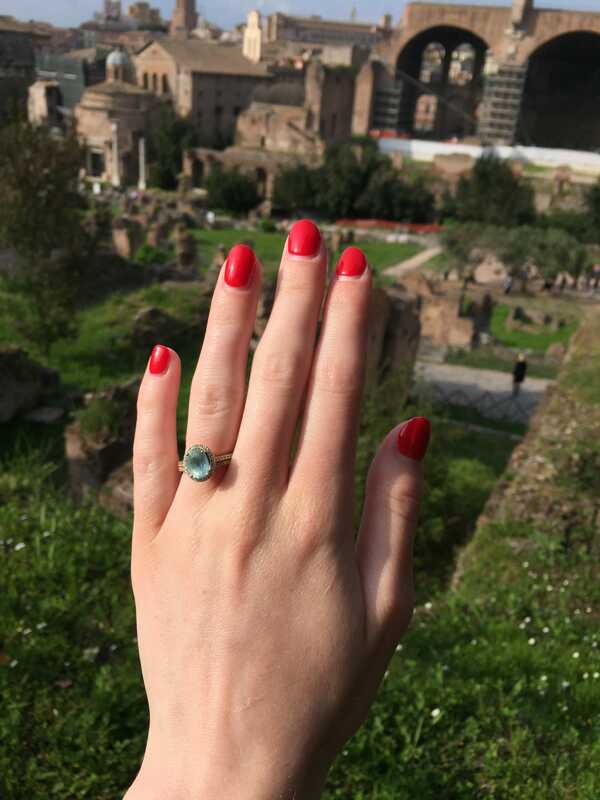 Rome made my ring look good. 😉 Ps. I’m finally getting used to wearing a wedding ring! 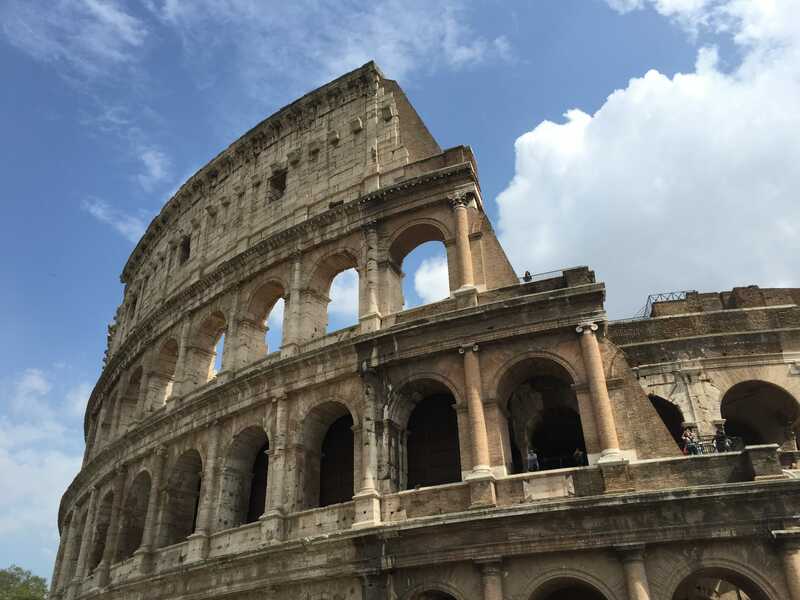 Unique facts about Rome: Rome is just one of those cities that’s hard to wrap your mind around. It’s a city built on top of other cities, and it’s older than any place I’ve ever laid eyes on. 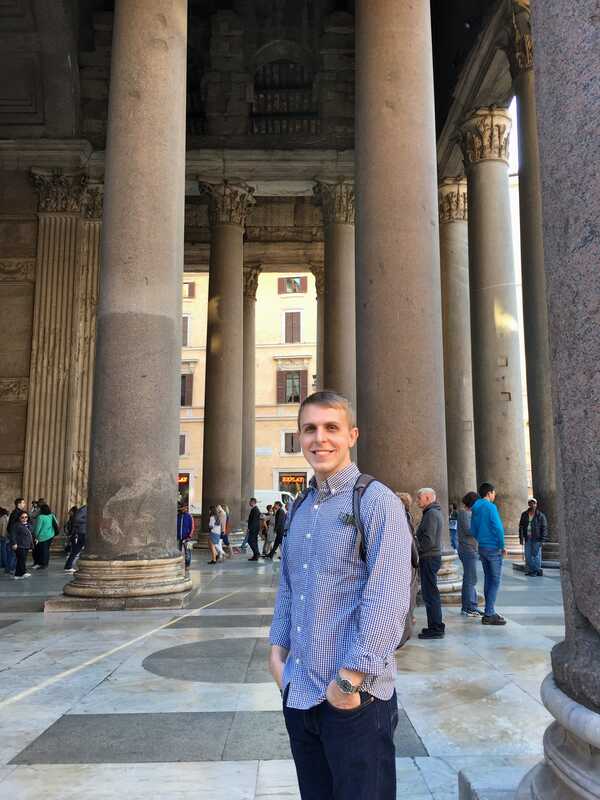 I highly recommend reading up on Rome before you visit the city, because I think it makes the experience much better. 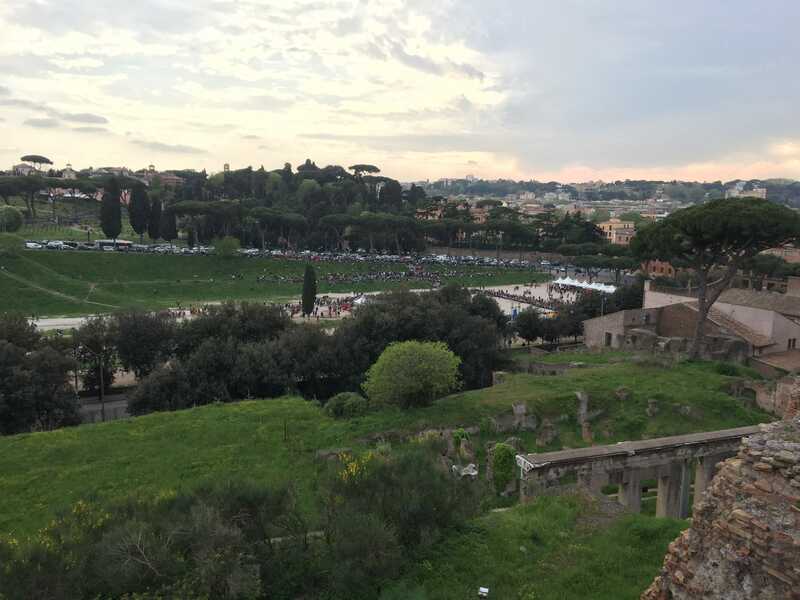 View from the top of Palatine Hill. You can even see Vatican City off in the distance! 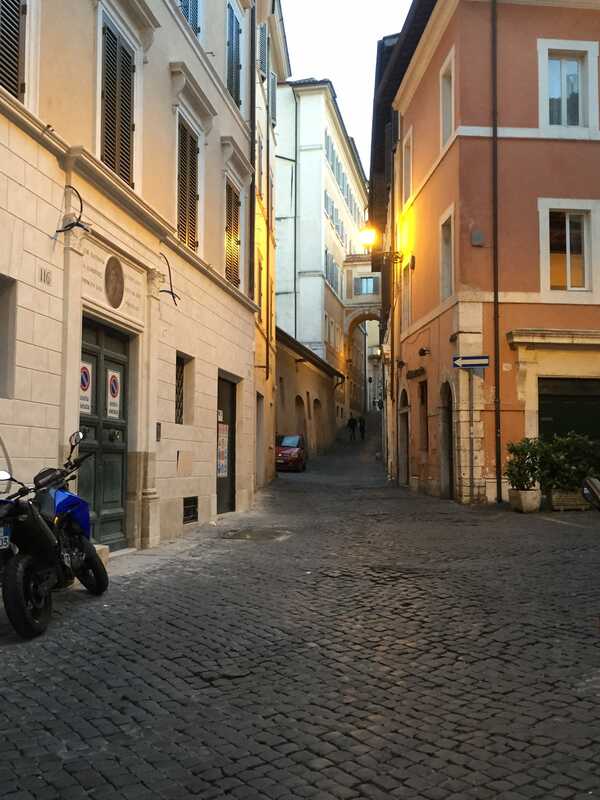 Where we stayed: We stayed at Relais Trevi 41, which to be honest, wasn’t our favorite hotel of the entire trip. But, it got the job done. The staff was really sweet and helpful, plus a great free breakfast in bed each morning. 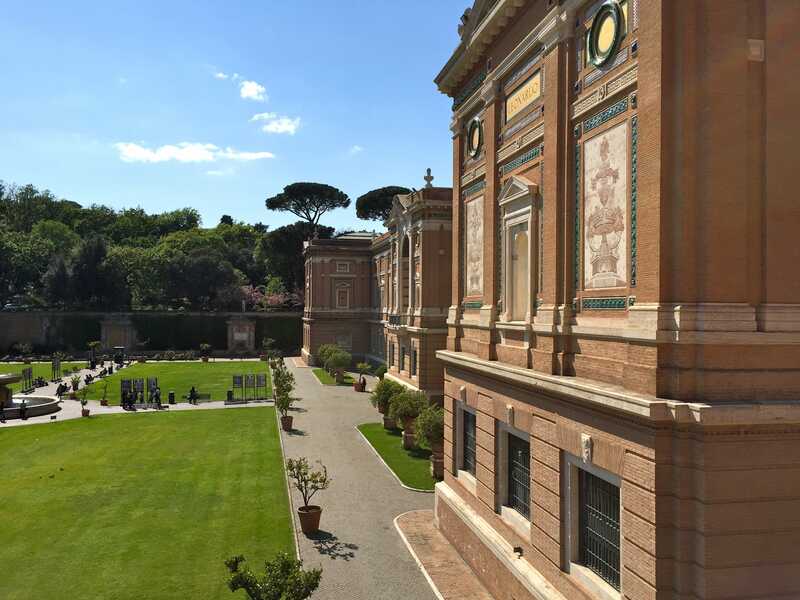 The location was excellent, close to the Trevi Fountain and within walking distance of the train station and other places we wanted to visit. Two friends on two separate trips this summer stayed at the Hotel Oceania, which was a recommendation from the Rick Steves book. One friend felt safe and said the staff was very hospitable. It’s on the third floor of a building above a church, so that was a cool experience. This hotel also had free breakfast, which is something we always look for with hotels. My other friend said the rooms at Hotel Oceania were big by European standards and the staff was great for them too, but it wasn’t their favorite hotel. How long we stayed: 4 days and we felt like that was enough time to get a good feel for the city, but I would’ve happily stayed longer. 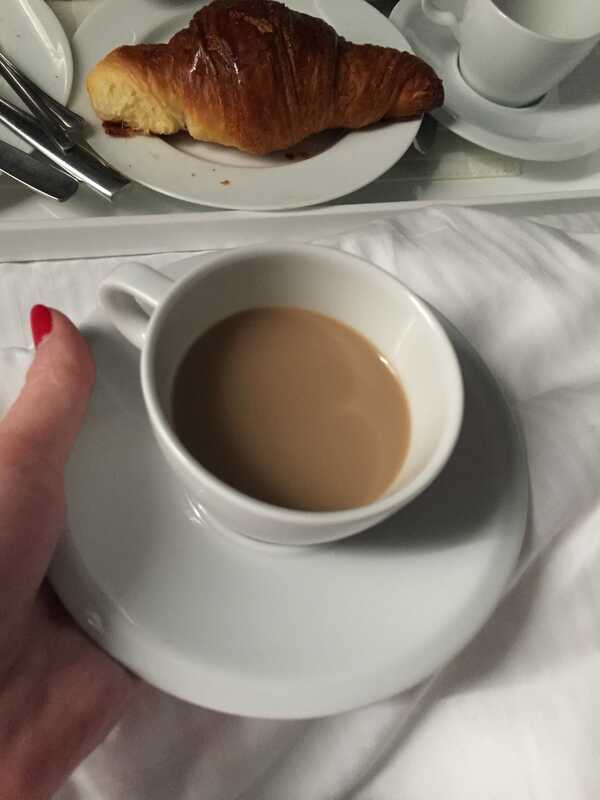 Every morning our hotel would bring us all kinds of delicious food in bed and it was the best! 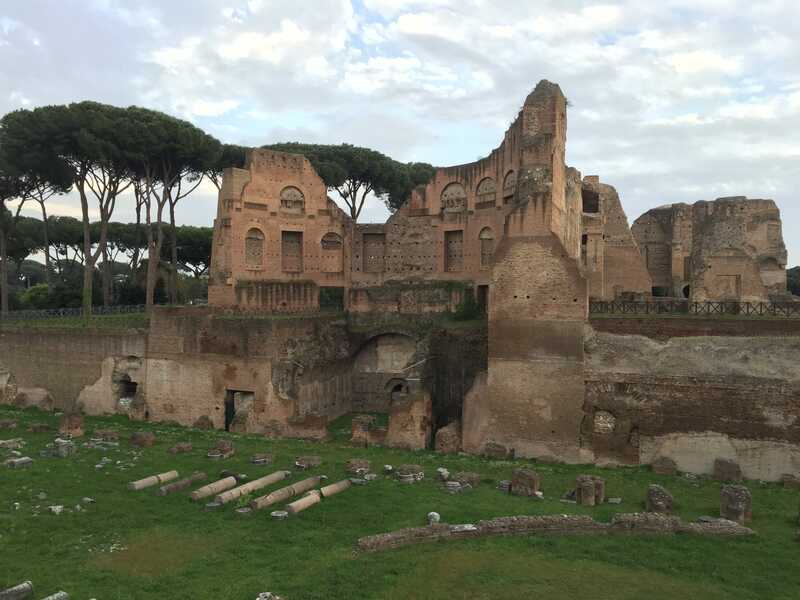 Favorite sites: We love, love, loved Palatine Hill and the Roman Forum. 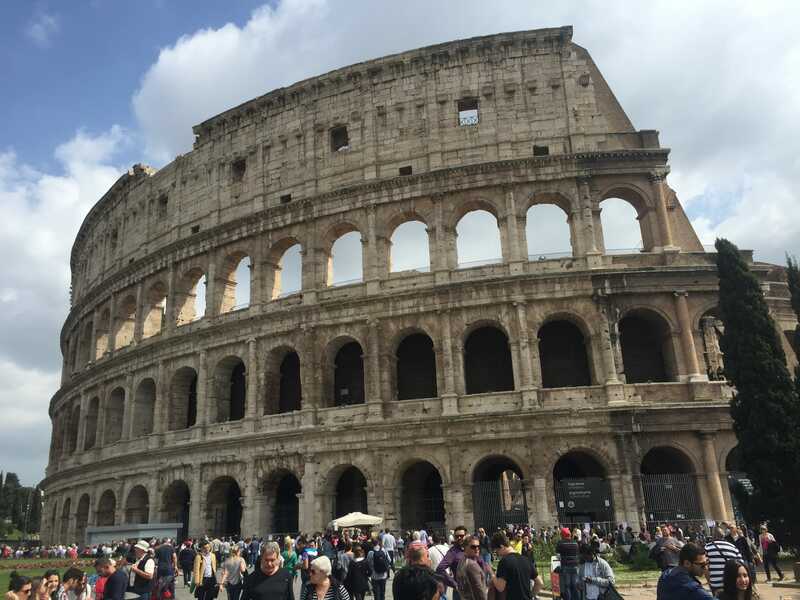 We bought a combo ticket from the Colosseum that cost 12 euros per ticket and granted us access to all three sites. The history and views from this site are probably one of my favorite things from any of my travels (sooo that explains all the photos haha). We could have spent days exploring this area and imagining what this massive colony of ancient homes and communities used to look like. We spent several hours one afternoon there and stayed until the sun started to set. I highly recommend going at this time of day, because there weren’t as many people and the incredible views are made better. The Colosseum was surreal, but I found it eerie in some ways just because so many people lost their lives there. 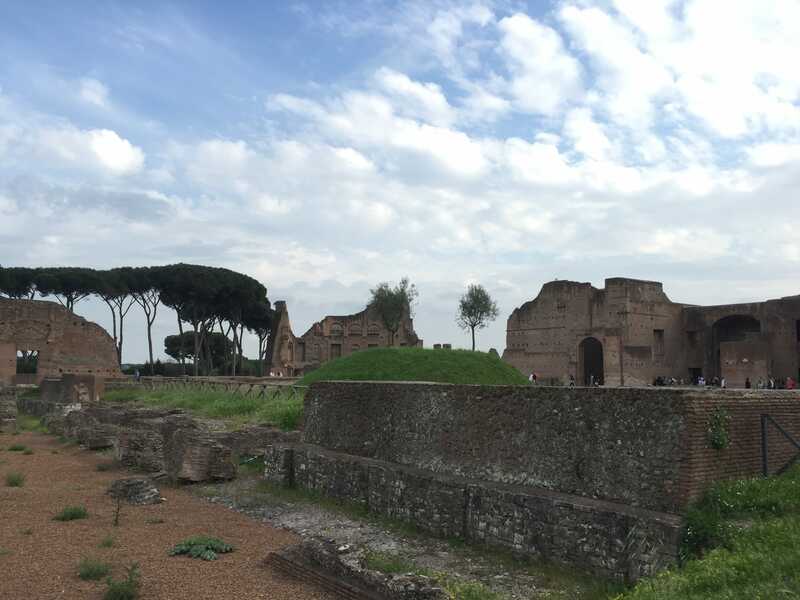 On our way back from Palatine Hill and the Colosseum, we got stuck in a brief rain storm and it made the day even better. I mean, it’s not every day you get to walk in a Roman rain shower. 😉 All the peddlers would come out of nowhere with umbrellas trying to get pedestrians to buy them and it was pretty hilarious. Never underestimate the street food in a big city! 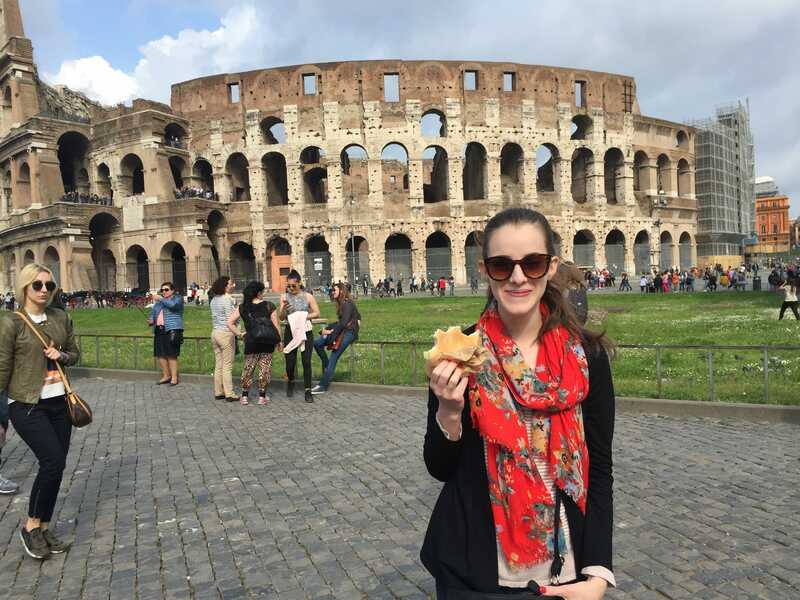 Also, I feel like half of my Italy photos are of me holding food, haha. When in Rome, right!? 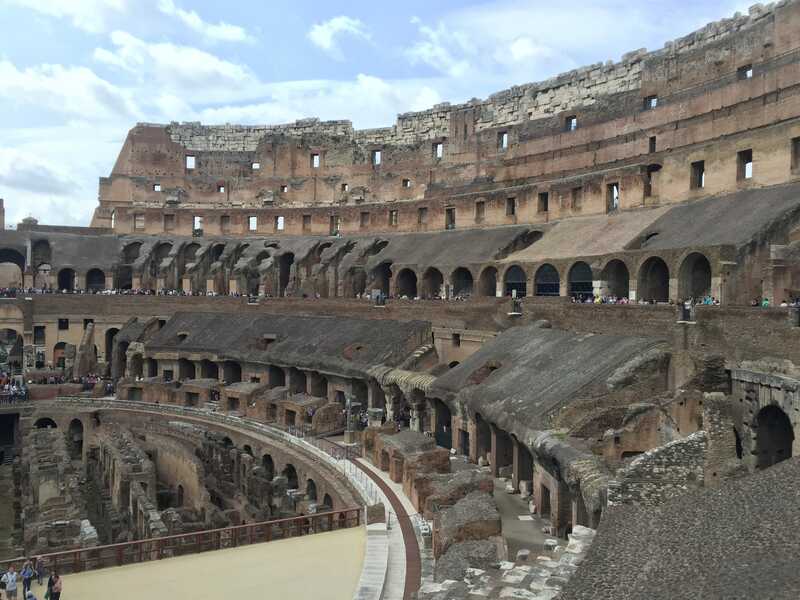 The inside of the Colosseum was pretty crazy to see. So much history! 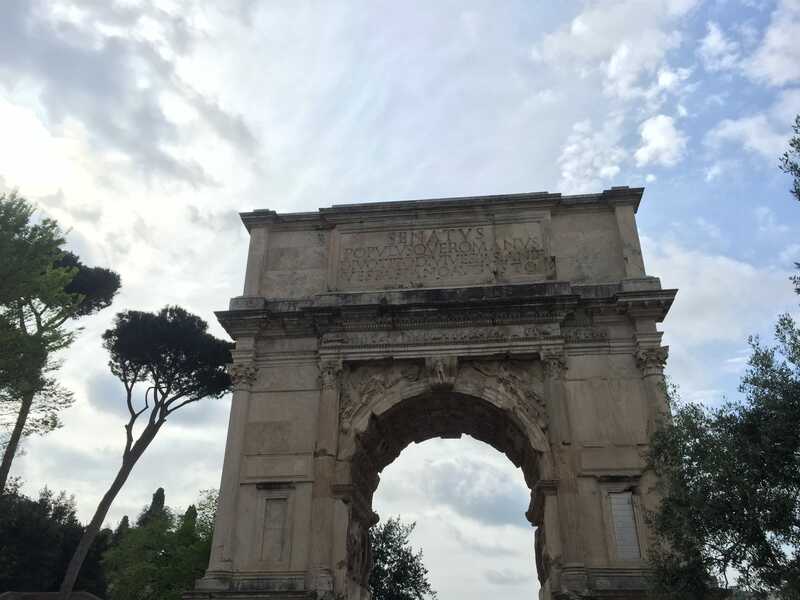 The archway in the Palatine Hill and Roman Forum area…and little did we know, we were about to see our favorite thing in Rome! I was underwhelmed by the Trevi Fountain, mainly because it was under construction. But definitely walk by it! On that note, I don’t know if you’ve had the same experience, but for me, the sites that are always hyped up (like the Eiffel Tower, Big Ben, Trevi Fountain) are never my favorites. I always really love the underestimated and overlooked things about a city. 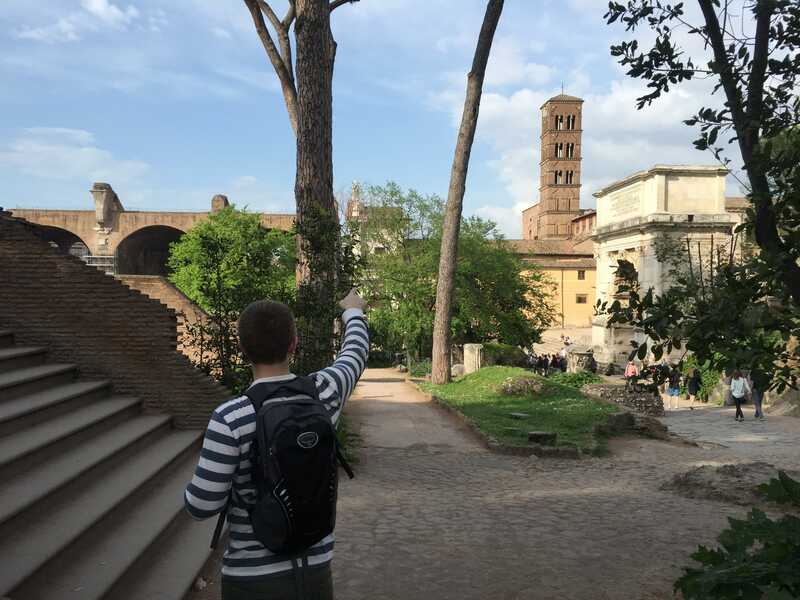 Also on our Rome visit, I wasn’t a huge fan of the Vatican. It was beautiful, historic and massive…perhaps too massive. I think I was just overwhelmed by how large it was and how much there was to see. Also, it was incredibly crowded inside the Sistine Chapel and Vatican museums, so that took away a lot of the wonder for me. The guards kept having to shout at people in the Sistine Chapel because people wouldn’t get quite and then we were quickly herded through. 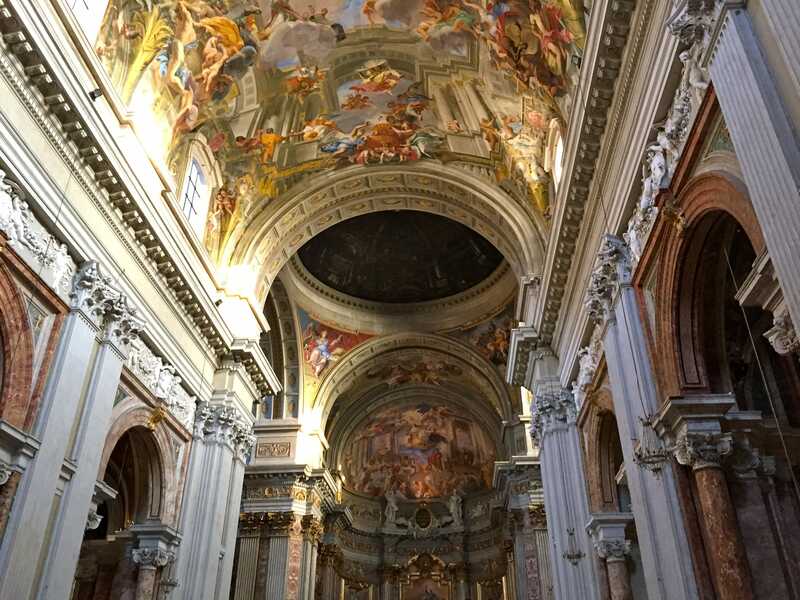 Obviously if you go all the way to Rome, you have to take a trip to the Vatican, but just plan it out really well so you can beat the crowds! 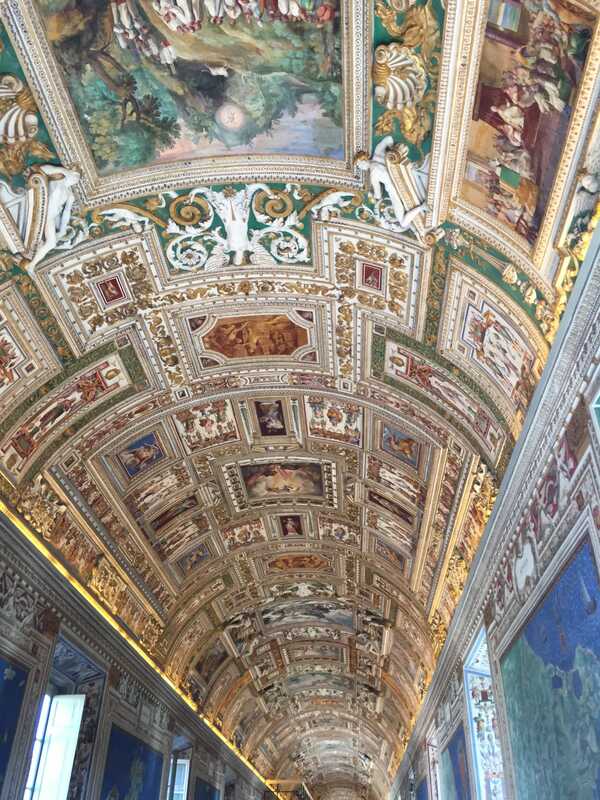 These murals and paintings are everywhere in the Vatican, and they are breathtaking. We also liked visiting the Pantheon, which is a free touristy site. It has a hole in the ceiling, so when it rains, it rains directly into the building. 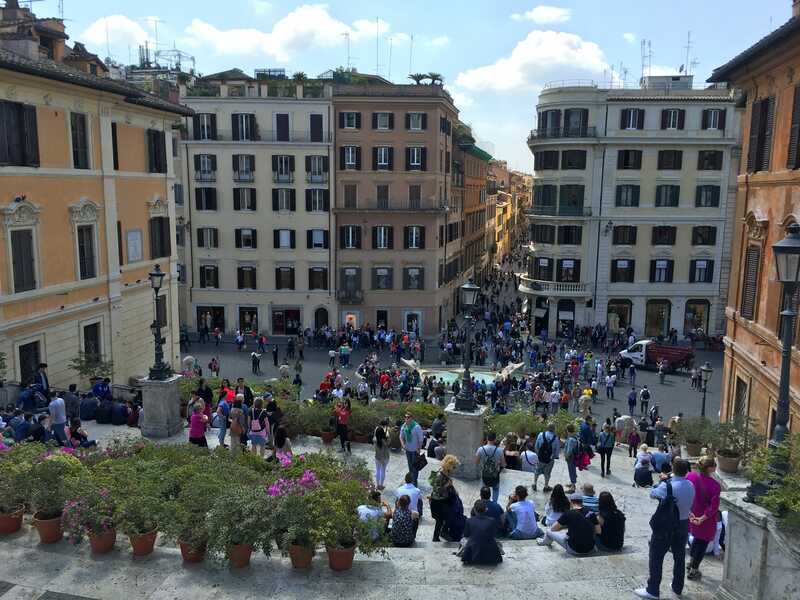 The Spanish Steps were also beautiful! Like Venice, we loved that Rome’s streets were basically like its museum. You could walk for miles and miles, never getting bored of the things you’d see. We wandered into all sorts of random churches, cool buildings and shops. I think it’s always important to take time to do that! We just happened to stumble into this church just as it was closing and I think it may be one of the prettiest I’ve ever seen. Favorite restaurants: I don’t think we had a bad meal the entire time. 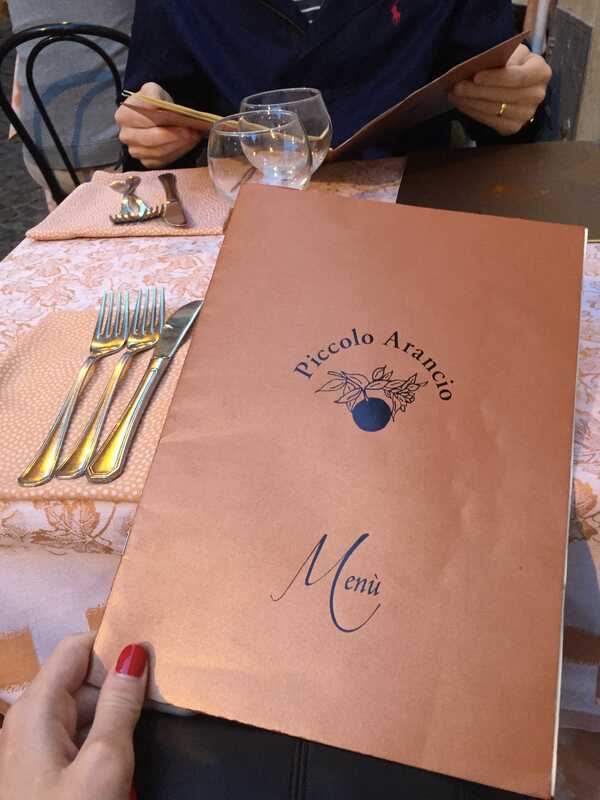 Matt and I really loved Ristorante Al Piccolo Arancio, which was a perfect choice for our first night. Our hotel recommended it and it was exactly as you picture a Roman restaurant to be. Just picture an alleyway, cobblestones, a man playing an accordion and real Italian food. 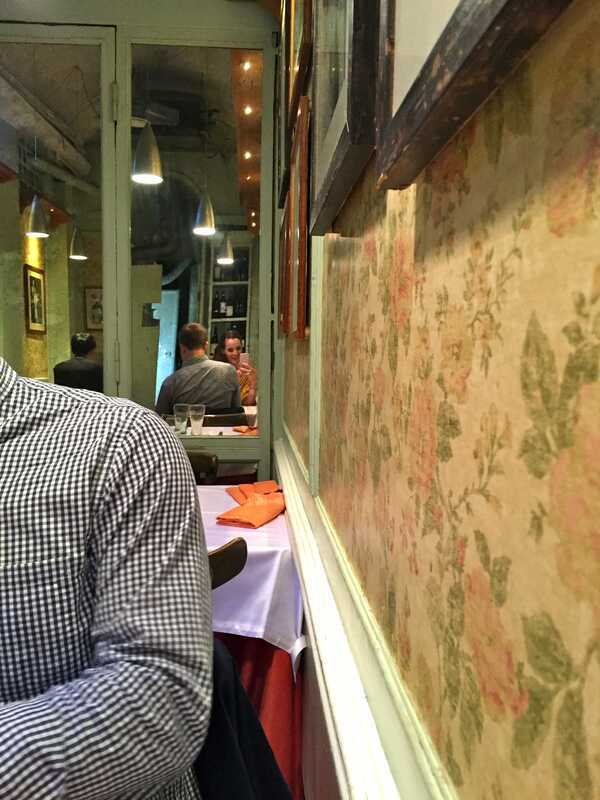 Another favorite meal in Rome was from That’s Amore, which is a really adorable vintage feeling restaurant with great service, delicious food and close proximity to the Trevi Fountain. 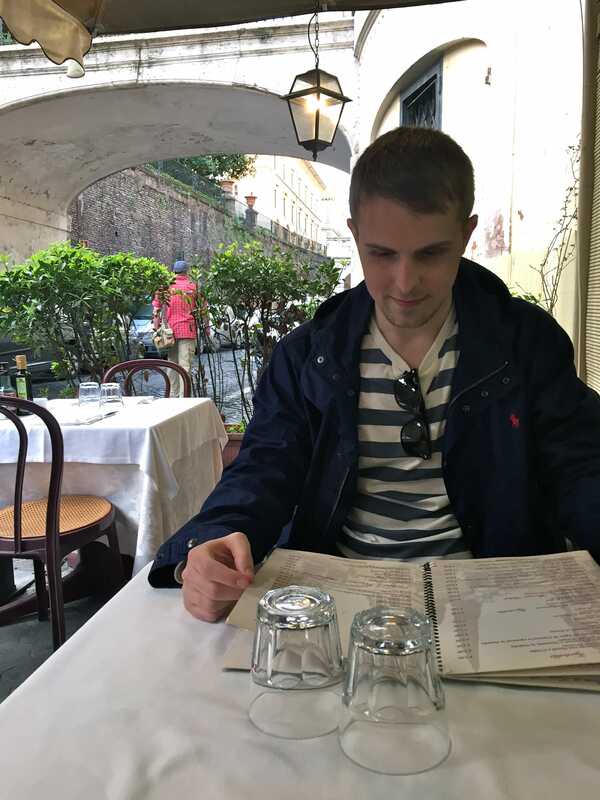 We also loved eating on the patio of Ristorante Le Lanterne, which provided a lot of opportunities to people watch and just enjoy a long meal. Then we found this delicious gelato place, just when I thought I couldn’t find better gelato. It’s called Gelateria Valentino and apparently the lines wrap around the building during peak season. The alleyway where you can find Piccolo Arancio. A perfect first night in Rome dinner! I just really love this picture 😉 because I needed a photo of that wallpaper. This was at That’s Amore. Ristorante Le Lanterne after a day exploring the ruins! My friend’s restaurant recommendations were awesome! She loved Hostraria de Nerone for its really great pastas and house wine. 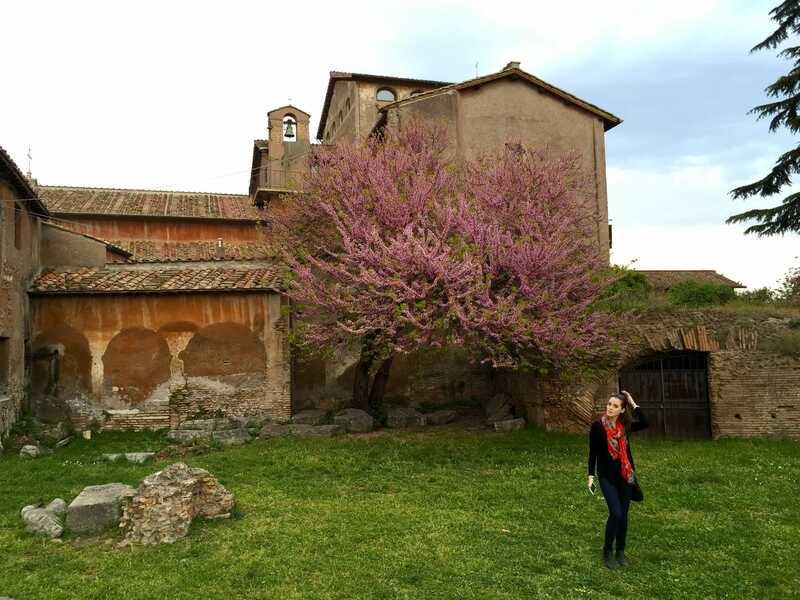 For dinner one night, she tried Taverna Trilussa, which turned out to be her absolute favorite meal of the entire trip. 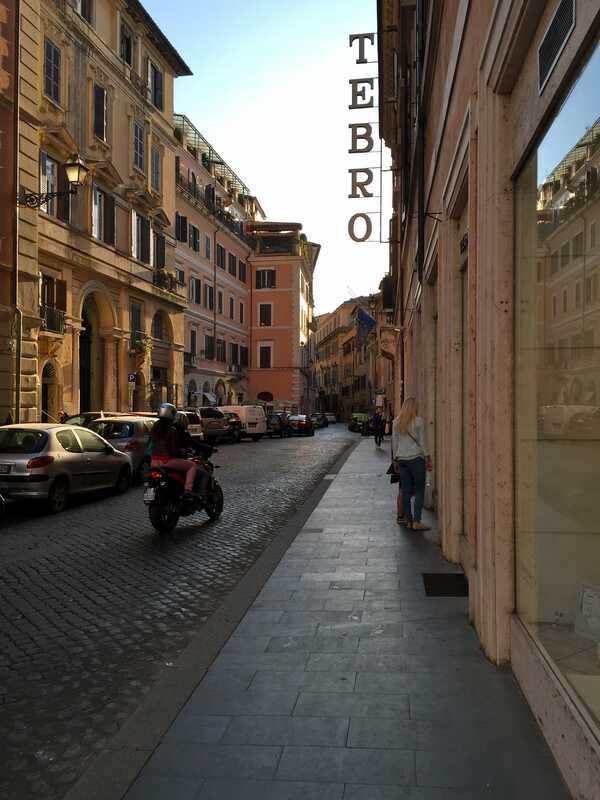 Her other recommendation was Sacro e Profano, which was a really awesome cheap and yummy pizza place near the Trevi Fountain. We were told to be especially careful in the Rome train station because they have a lot of issues with gypsies. However, we didn’t experience that at all. In fact, we never saw a gypsy the entire time we were in Rome. I’m not sure if that was due to the off season or what. I actually thought the Rome train station was one of the safer stations, because they had the platforms barricaded and officials who wouldn’t let you past them unless you showed them a ticket. This isn’t the case for most train stations. Obviously, still exercise caution and keep an eye on your things in any train station! 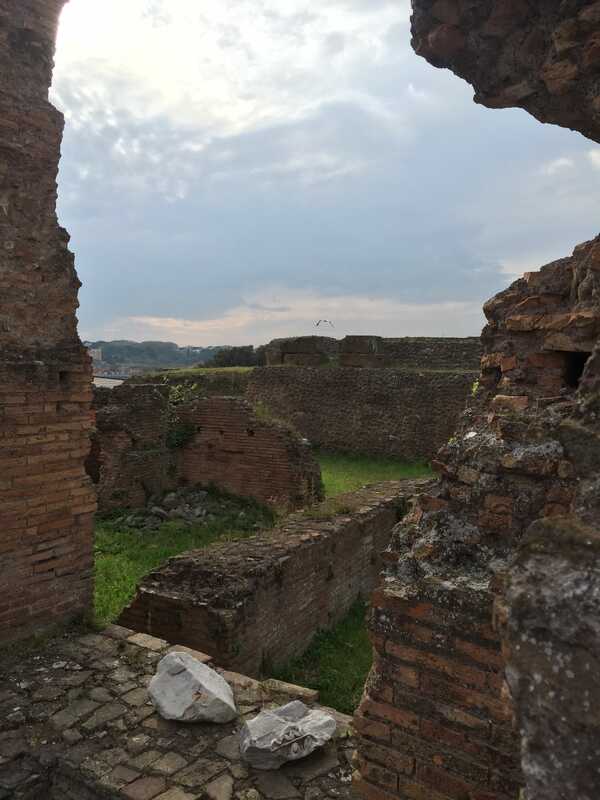 But, we felt really safe in Rome. Watch out for peddlers and people trying to sell you things on the street. It’s especially bad in really touristy areas. They have a really annoying problem with peddlers in Rome (more so than other cities) and they can be kind of intense (like getting in your face and not taking no for an answer). The best way to deal with them is to just stay calm, keep walking with a purpose and not even say anything at all. 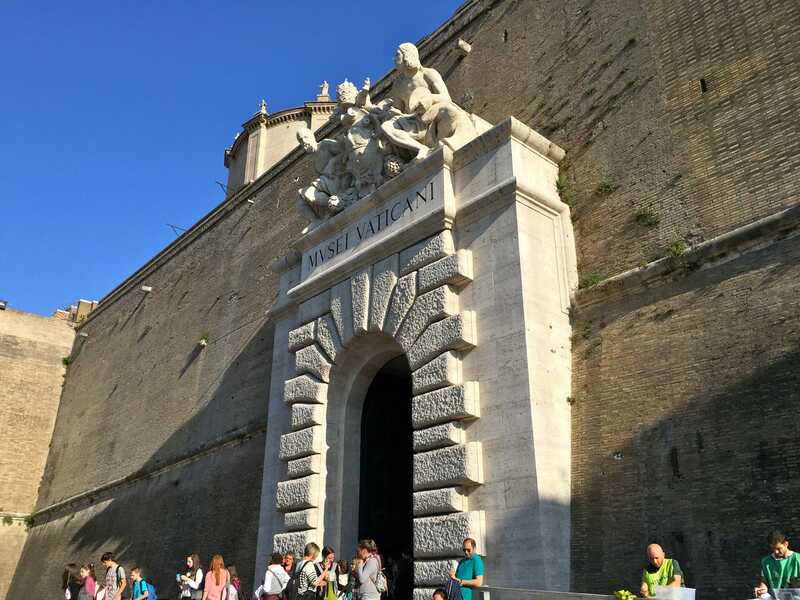 For us, the Rome City Pass didn’t pay for itself, so we opted to do the combo ticket at the gate for the sites we visited. Just decide what works best for you and what you want to see. If you do choose to go to the Vatican, realize it’s usually an incredibly long line so it’s often best to book online ahead of time. Some days are better than other days to visit, so research that before you go. However, because we were in the off season and we went later in the day, we only had to wait in line for about an hour to get a ticket at the window. Remember the dress code for churches and cathedrals is often enforced. If you’re going to visit the Vatican or other churches, make sure you cover your knees and shoulders. We saw a couple of people being asked to leave and some being given a type of paper/cloth to cover their knees. Not super cute…so just plan accordingly. How we got around the city: Like most of our other city visits, we just walked and took a train. However, we also used the subway system in Rome. It was fairly easy to navigate, so don’t be afraid to take advantage of the subways there. We used it to get to Vatican City and then walked from the station. Remember, Google maps is your best friend and then keep a hard copy of a map in your bag. 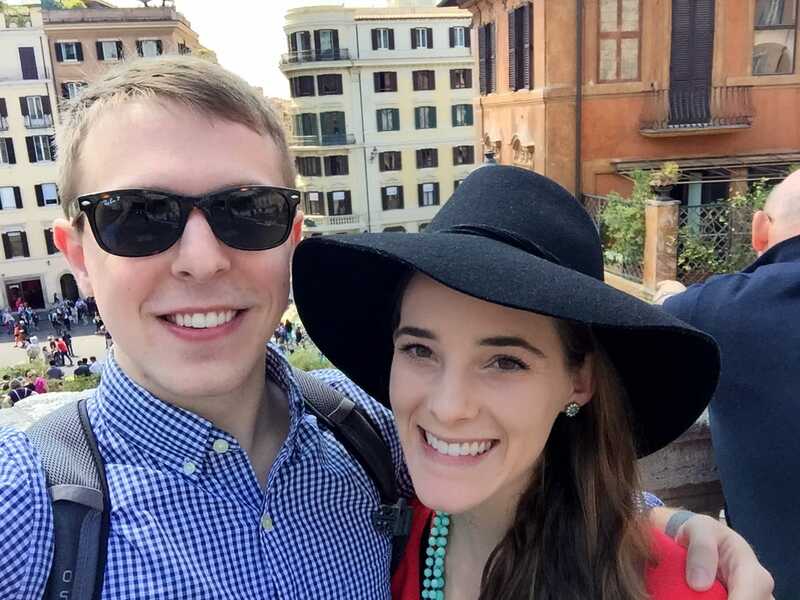 Hope you love Rome as much as we did! Happy travels! Stayed tuned for the last of the Italy City Guides and a little video we made of our adventures in Italy. I saved the best for last!